Software that doesn't expire. It's our big goal. Anyone can throw around terms like quality, unit testing & monitoring. But, the bottom line is we develop software that never stops doing what it's supposed to do & back it up with a warranty. 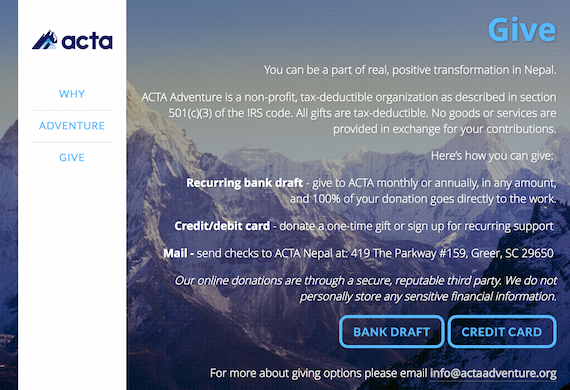 Chris at ACTA approached us to help him build a basic marketing site and donation system for his Nepal based non-profit. A big goal was to eliminate his monthly costs of collecting funds from donors. We built a very simple web page that is low maintenance. 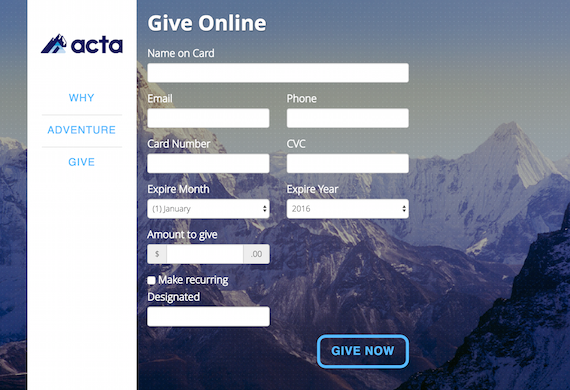 The single page site simply communicates what ACTA is doing and provides a way for donors to contribute their financial gift. And we eliminated Chris’s monthly payment processing bill. We love what Chris is doing in Nepal. Through ACTA he works to help kids that are part of the child labor used to produce bricks in many of the brick factories in Kathmandu. We were proud to donate both the development hours and necessary hosting for this project through our Power and Light program. 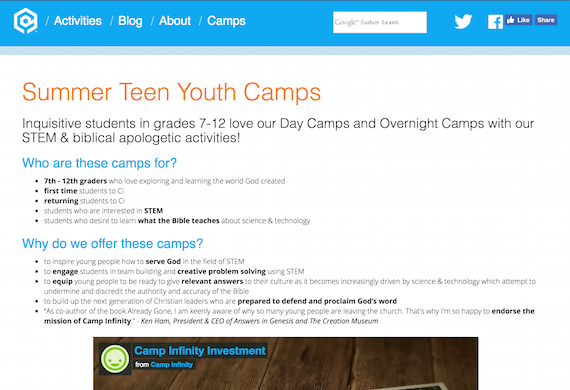 CampInfinity is a unique STEM camp that runs educational camp programs for gifted kids. 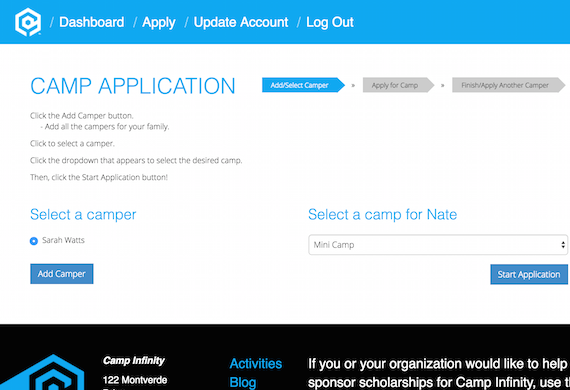 Because the staff wants to ensure a good fit between their camp program and the campers that attend they have an admissions process similar to a private school. 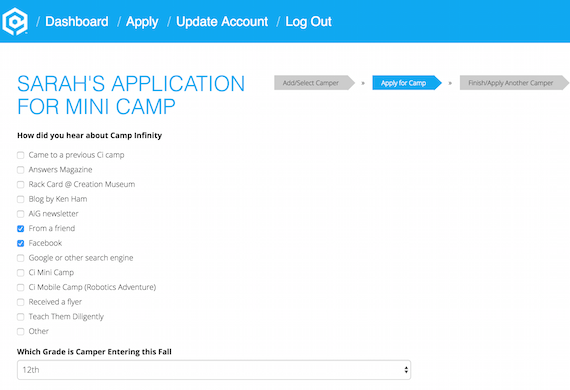 But managing admissions is tricky business, so CampInfinity contacted us to help them meet the challenge. We're also pleased to say that we provided CampInfinity a HIPAA compliant system, since camper medical information is collected. Additionally, our HIPAA solution was inexpensive, which made a secure system feasible. 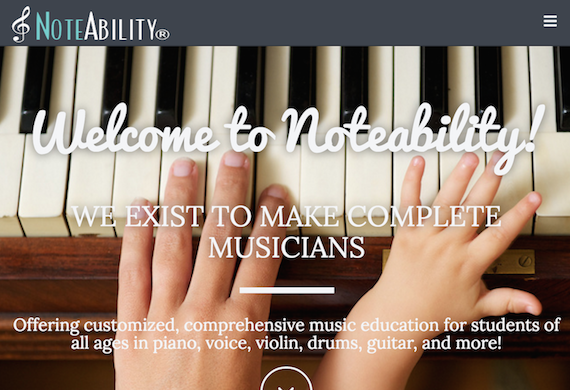 NoteAbility Music is a music training school in Greenville, South Carolina. They approached us to help them ramp up their online presence and to increase their find-ability. I don't know what you guys did, but don't do any more. We have too many calls coming in from people finding the website. 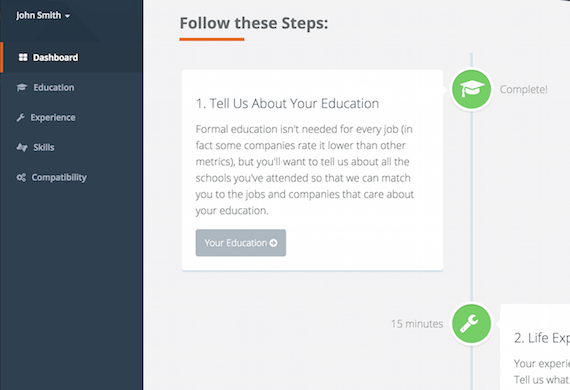 We built NoteAbility a new marketing site that would help people find them online. 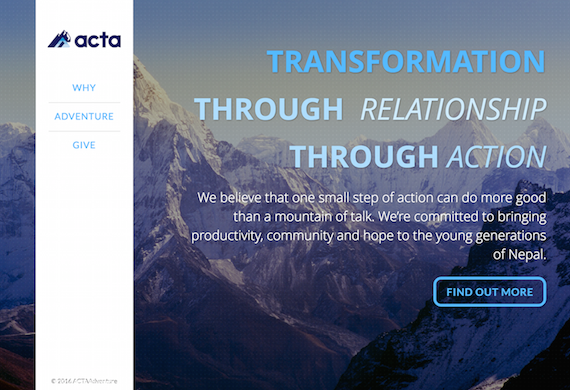 The asthetic of the site is also designed to appeal to NoteAbility’s ideal customer. This website was the first time we ever received a call from our client to let us know that we “should stop” since they couldn’t handle the additional call volume they were receiving. 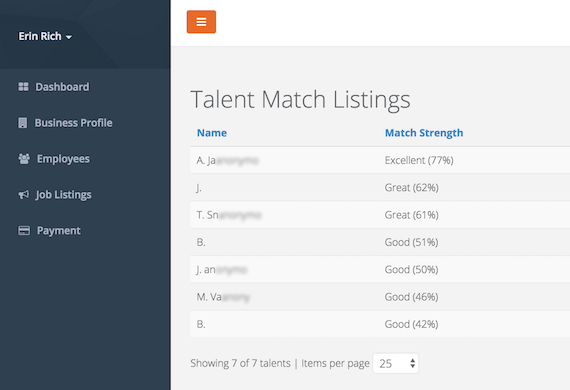 This project involved creating a system that allows three different user types the ability to create accounts and manage their profiles: Talent, Hiring Managers, and Organization Employees. The Talent create a profile that includes all of their resume information, life experiences, and an advanced personality test. All of these steps are displayed on their own screens and saved individuality for both ease of use for the Talent and data loss protection. We track which sections are complete and about how much more time an applicant will need to complete the forms. 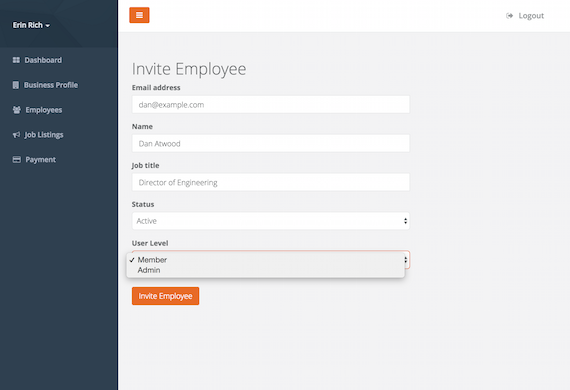 The Hiring Manager users create a company account and then invite their employees to join the system. 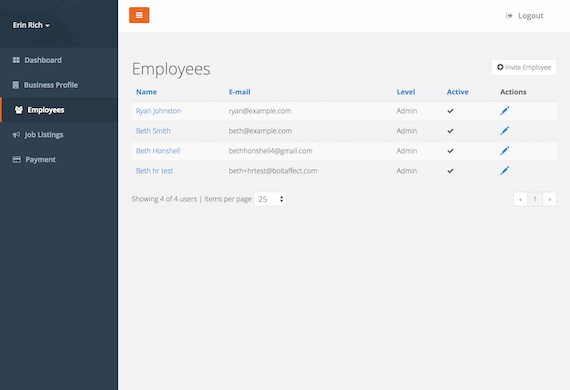 Hiring Managers are administrators, but they can select additional users to also have admin privileges. 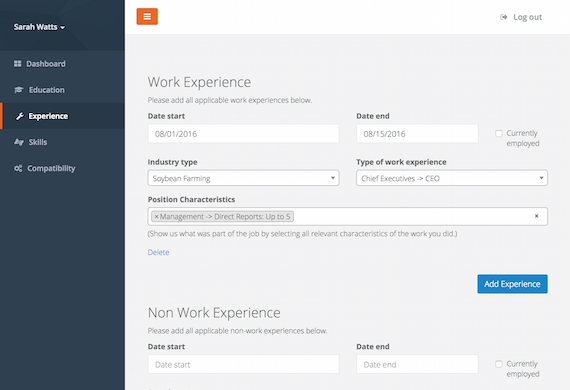 The Hiring Managers create job listings with complex filtering that is made simple through the easy to use setup screen. 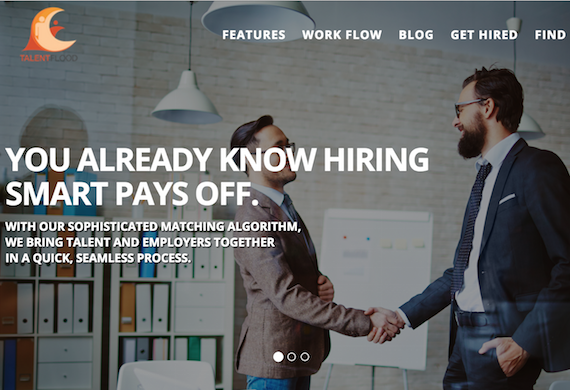 We wrote a system that listens for any Job Listing that is added or updated and then automatically applies a fancy matching routine to rank Talent against the Job Listing. 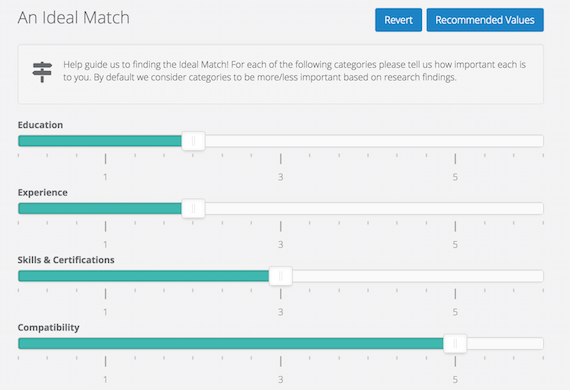 This allows the Hiring Manager to see a short list of candidates to interview. We can build most things, big or small. But the first step is starting a conversation. 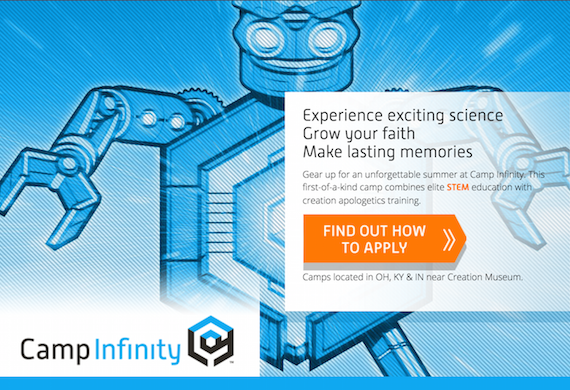 I wanted to thank you for the quality work that you're doing to help me prepare camp infinity online for the next level of growth. Customer satisfaction that isn't just an option. It's our business strategy. We care about customer satisfaction so much that we warranty our work through a free support agreement on each project. 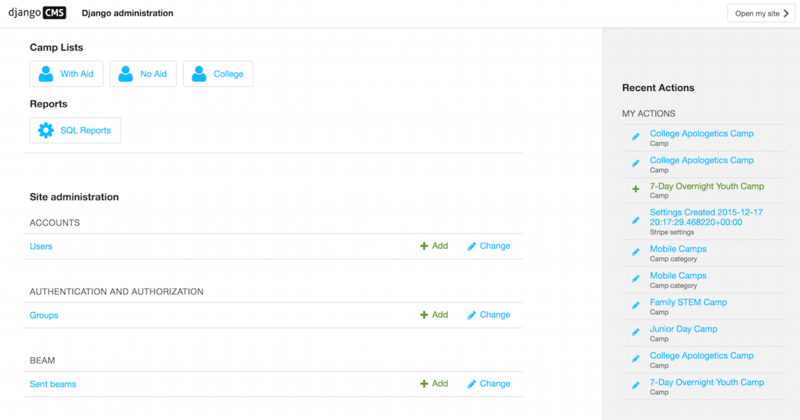 Our free support agreement helps you get your app launched, and you and your staff trained. You've got peace of mind that we stand behind our work. 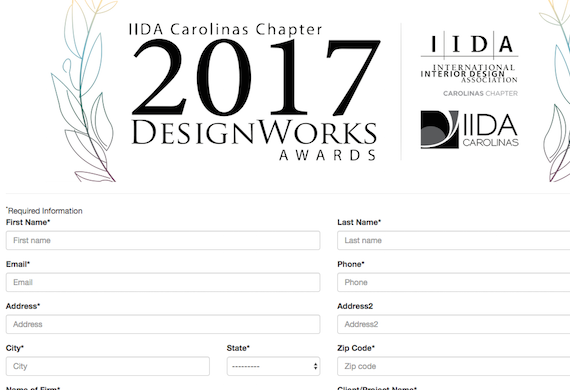 "I wanted to send kudos for your process and ease of accessibility!" That quote is from one of our judge’s. They were all extremely complimentary of our process and said that it was the best one they’d used!